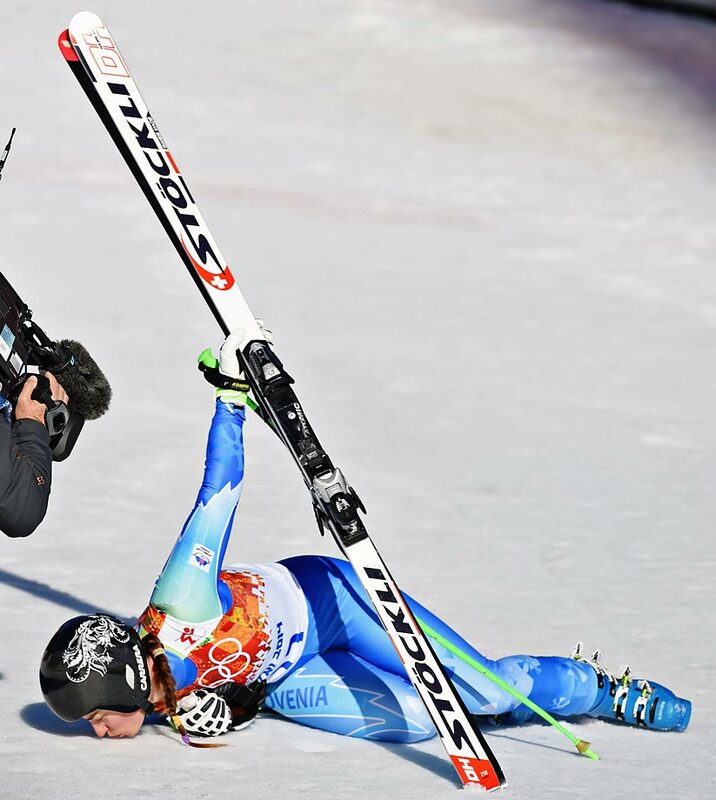 Tina Maze of Slovenia (pictured) and Dominique Gisin of Switzerland each won a gold medal Wednesday in the women's downhill. 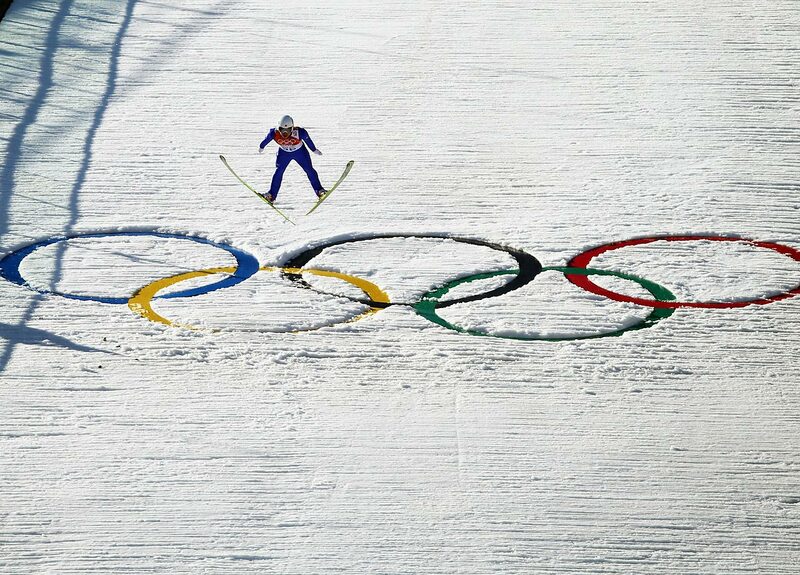 Dominique Gisin covered the 1.69-mile Rosa Khutor course in 1 minute 41.57 seconds. 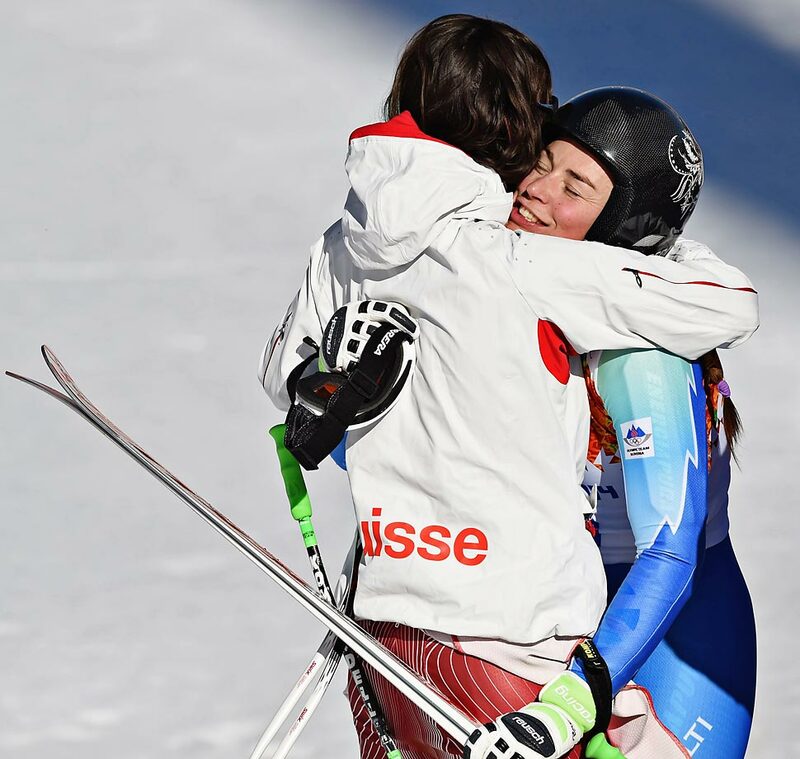 Tina Maze and Dominique Gisin celebrate after winning gold. 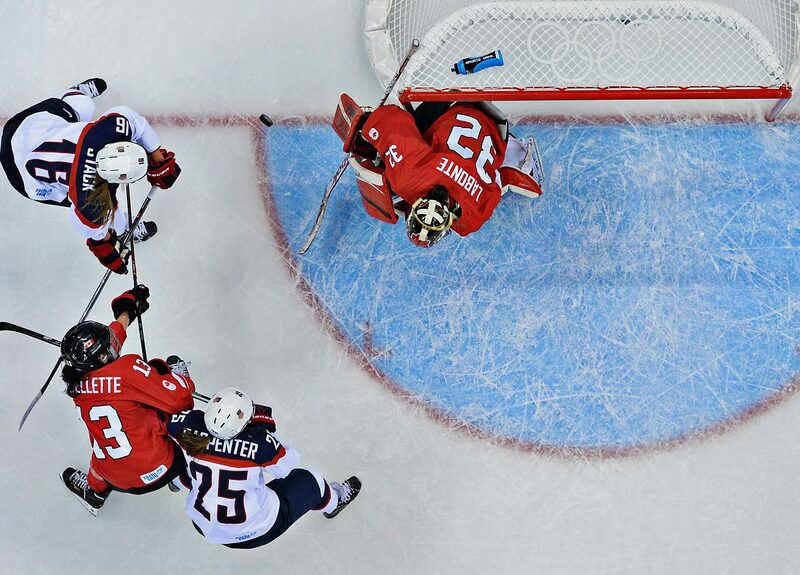 In a preview of the likely gold-medal match, Canada defeated the U.S. 3-1 on Wednesday. 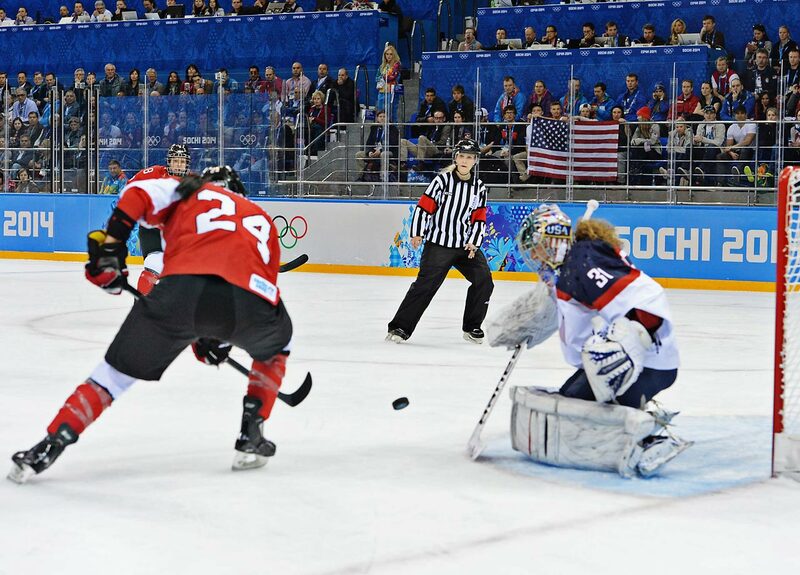 Megan Agosta had two goals and assisted on Hayley Wickenheiser's goal to lead Canada. 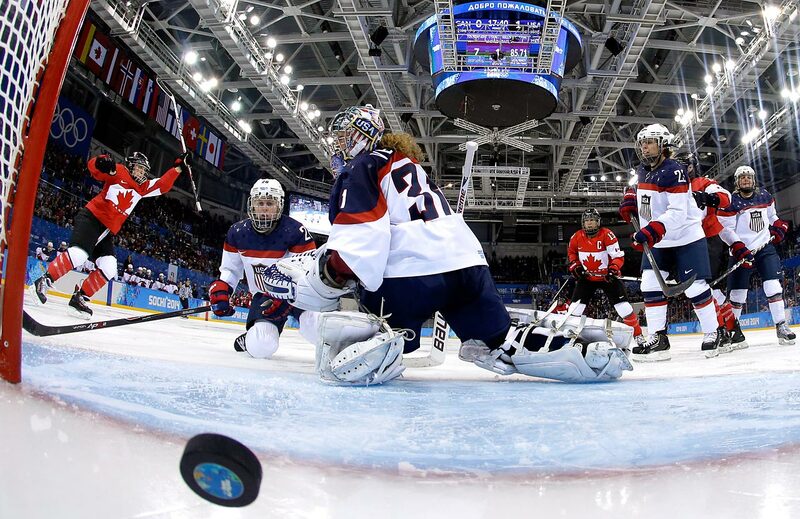 Meghan Agosta-Marciano of Canada celebrates scoring a goal in the third period against Jessie Vetter of the United States. 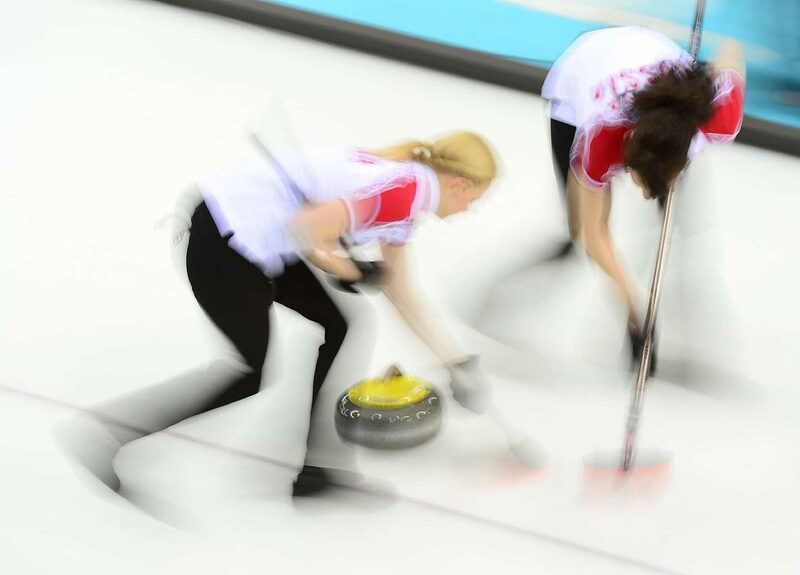 Alexandra Saitova and Ekaterina Galkina of Russia during their curling match against Japan. 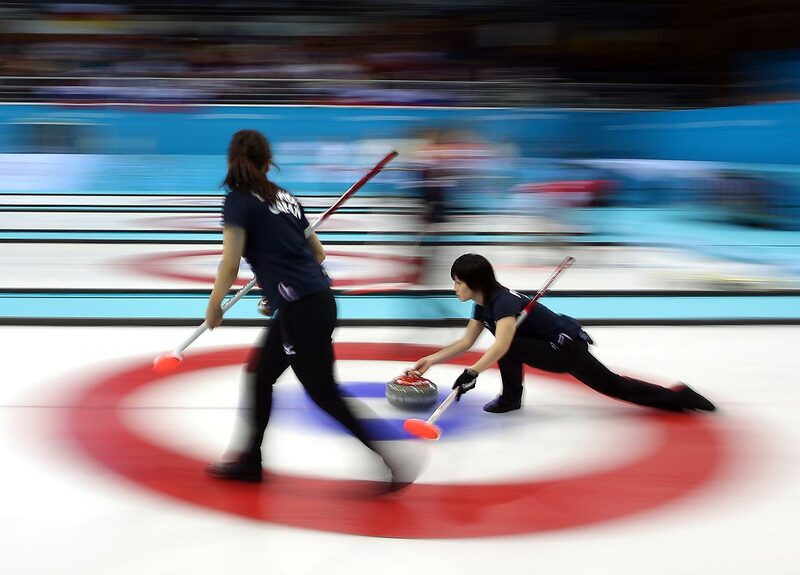 Yumie Funayama of Japan delivers the stone during a match against Russia. Felicia Zhang and Nathan Bartholomay of the U.S. perform their routine in the Figure Skating Pairs Free Skating. 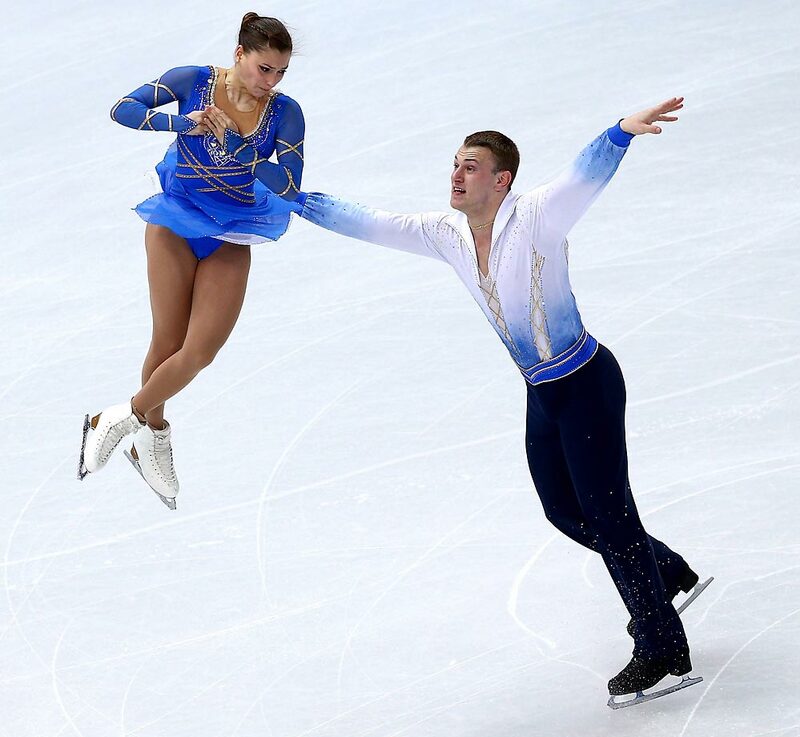 Andrea Davidovich and Evgeni Krasnopolski of Israel compete in the Figure Skating Pairs Free Skating. 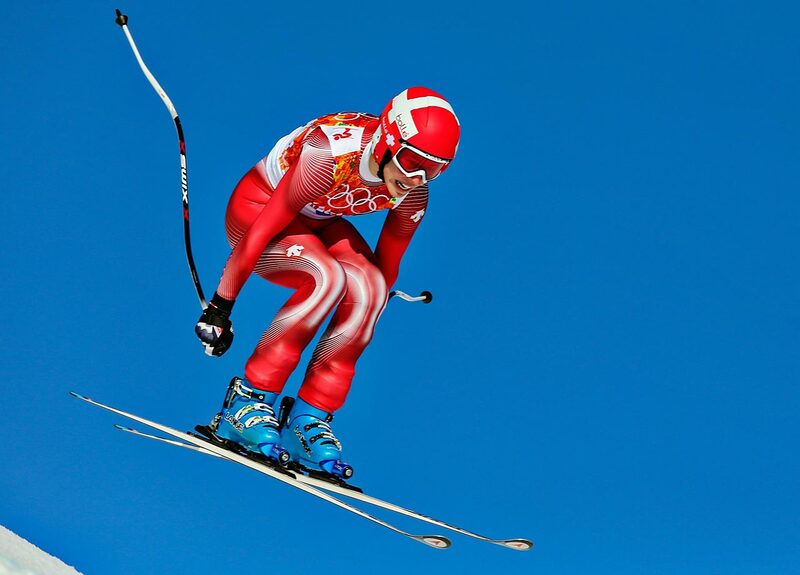 Hideaki Nagai of Japan jumps during the Nordic Combined Individual on Wednesday. 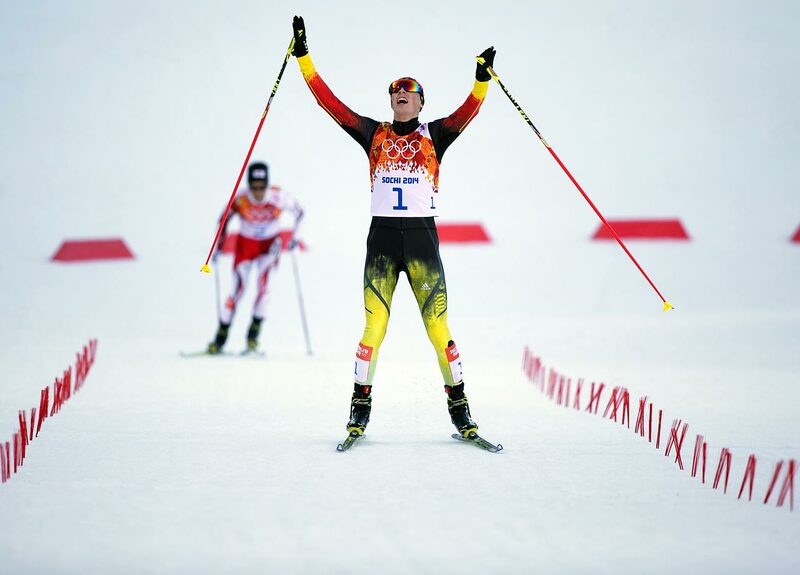 Eric Frenzel of Germany celebrates after he crosses the finish line to win gold ahead of silver medalist Akito Atabe of Japan. 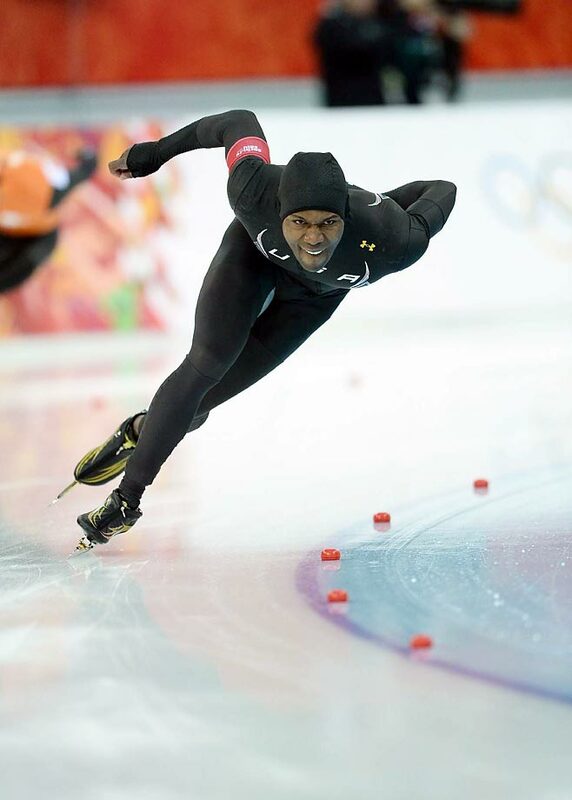 Shani Davis didn't medal in the 1,000. Kaitlyn Farrington of the U.S. took first place in the Halfpipe. 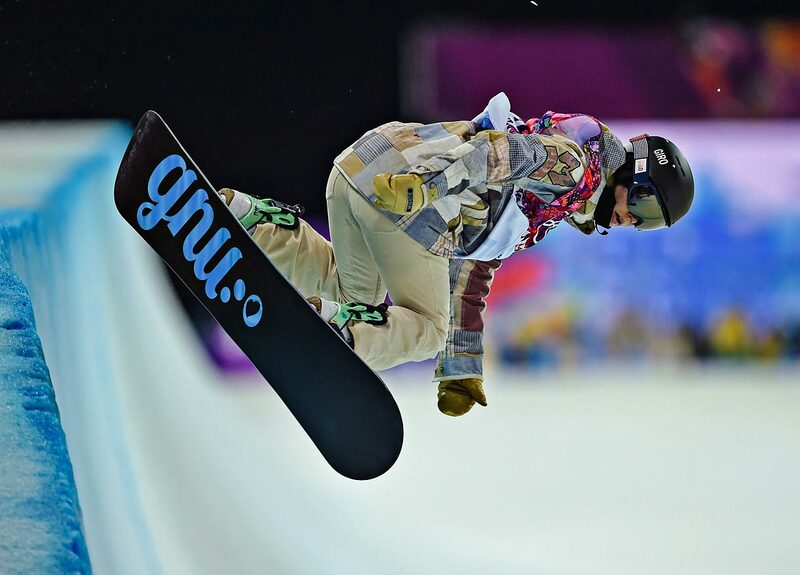 Kaitlyn Farrington won gold, Torah Bright the silver and Kelly Clark the bronze in the Halfpipe.